My children love to have me read out loud to them and I try to do it with some regularity, at times though it is hard to find good, quality books that I can read to them without having to explain away some worldview that runs contrary to our Biblical worldview. 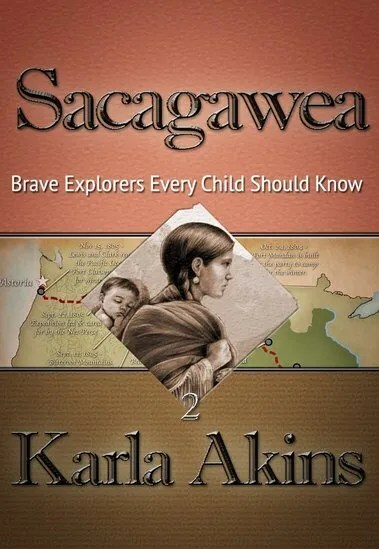 That is why I appreciated being able to receive a copy of the Sacagawea Saga from Knowledge Quest – if you’ve guessed it’s a book about Sacagawea you’re right, this book is what one would call a living history book. Originally released as a 4 part serialized novel, it can now be purchased in its entirety (or you can purchase each one separately). I was provided a PDF copy of the e-book and then I transferred it to my Kindle Fire to read to my children. Unfortunately, the interactive links did not work – so we’d open the document on the PC so we could access the links after we read a few pages or after a chapter. However, I do believe that if you purchase the Kindle version the links will be enabled to be viewed. I read this out loud to all three of my children, ages 6, 8 and 11 years old, and all three enjoyed it – even begging me to continue. There were some lulls in the action but it picks up and had all of our attention and held it for the rest of the book. As I said, this is an interactive book, so there are not pictures in the actual book instead there are links that you click that open up a website or image that goes along with the story – these are hyper linked in the PDF copy of the e-book. It was easy to have my 11 year old follow along on the PC while I read from my Fire and have her click on the links as I came to them – allowing us all to see the website or images that went along with the story, giving us a better idea of what Karla Akins was trying to convey. With that being said, there are some themes such as spousal abuse, kidnapping and slavery that some may prefer to keep within the recommended age range of 10 and up – however, I prefer to read the book as written and discuss it with my children when certain issues come up. It’s history and part of Sacagawea’s life and facts that cannot be glossed over, so for our family I read it and if there were questions we stopped and I addressed them and we continued on. I know not every family will approach it like I have and some may prefer to proof read it and skip over some themes for their younger children – however, I felt it was well done and in a non-offensive manner that allowed us to have a teachable learning moment. 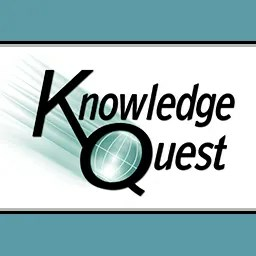 If you’d like to see what other homeschooling parents have to say about this e-book and a Knowledge Quest app please visit the Schoolhouse Review Crew blog.